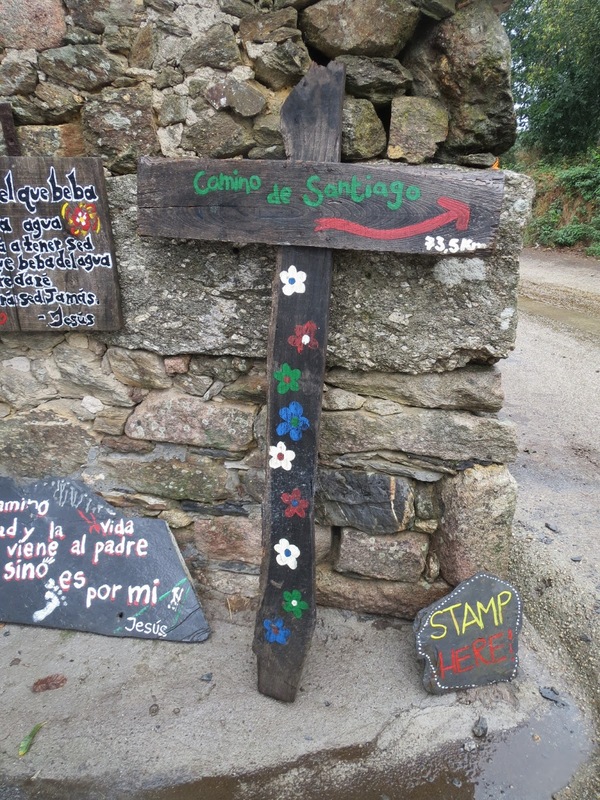 Today the 13 very excited women completed a section of the Camino De Santiago from Leon to Santiago De Compostela. 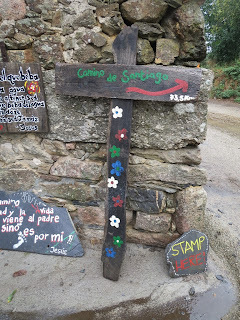 - Amenal - Santiago de Compostela Walk aprox 4.5 hours, 21 km The final day has come. 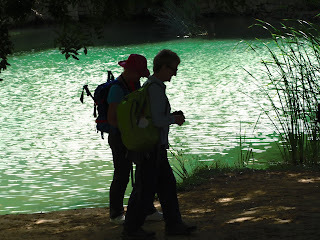 Our girls will begin their last day of journey along the Route to Santiago. Along it, pilgrims have travelled by part of the Spanish territory, and have enjoyed many of the countless wonders the country treasures, as a result of centuries of history, where the Route of Santiago has played an important role. This stage starts at Amenal. 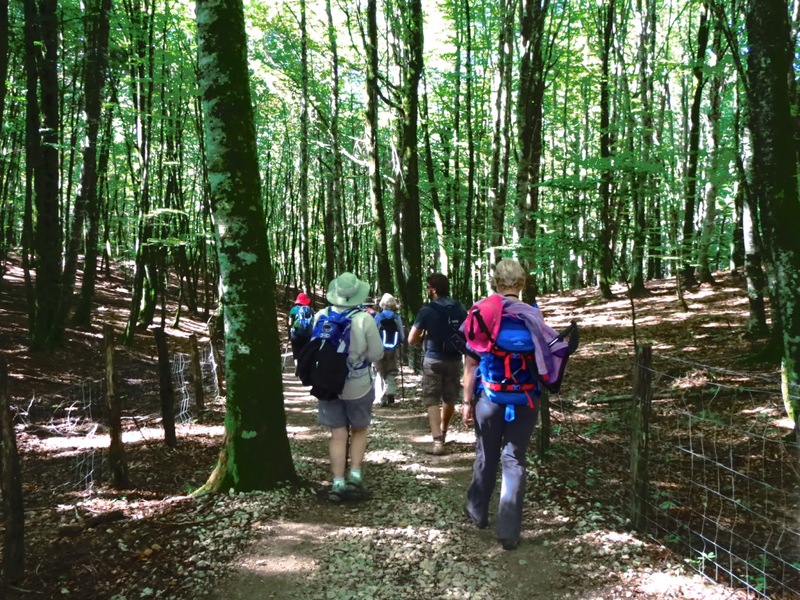 It then crosses towards the next village, Santo Antón, where the ascent to the municipality of Santiago begins, going through pine and eucalyptus forests, where the trees are very close together and symmetrically placed, in some areas, there are also oak trees. 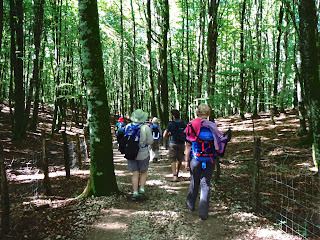 After reaching the summit, the Way passes next to the airport and starts the gentle descent towards A Lavacolla. A Lavacolla, already in the municipality of Santiago is located very close from the Monte do Gozo (Mount of Joy), a hill from where the pilgrims catch their first glimpse of Santiago's cathedral. From here the route is mostly urban, getting to the Cathedral through the San Lázaro neighborhood, Rúa de San Pedro, Porta do Camiño, Rúa das Casas Reais and Praza de Cervantes, to then go straight down to the cathedral and access through the Holy Door or, if it is not a Holy Year, through the Azabachería Door. Pilgrims will soon arrive at the Cathedral, the destination they have been yearning to reach for a long time. This architectural masterpiece is the most important Romanesque monument. Access to the Doorway of Glory is via the Obradoiro façade. Once in its interior, pilgrims will be carried away by the emotions produced by the sight of so many extraordinary valuable works of art. Tradition invites pilgrims to perform some rites. The most important and meaningful one is the hug to the Saint. Later on, comes the pagan rite of the bumps. It consists in reaching for a branch on the mullion, below the figure of the Sitting Apostle and, later making three wishes. On the other side of the column, there is another statue believed to impart wisdom and talents to whoever bumps his head against it. Outside the Cathedral, at the Obradoiro Square, visitors will be amazed at the magnificent surrounding buildings that reflect the thousand years of history and architecture in the town: the School of San Jerónimo, founded in 1501; the Neoclassical Pazo Raxoi, built in 1766, and the Old Royal Hospital for pilgrims, favored by the Catholic Monarchs and built at the beginning of the 16 C. These are some of the wonders that our pilgrims can enjoy in this historical town.